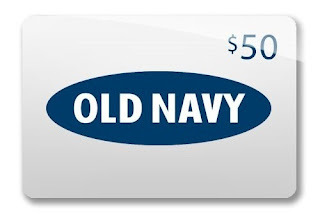 $50 Old Navy Gift Card FLASH Giveaway! 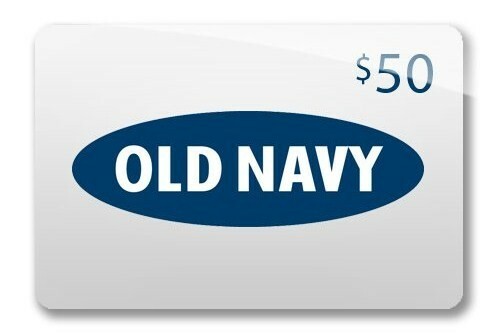 Welcome to the 27 hour Back to School $50 Old Navy Gift Card Flash Giveaway hosted by Acadiana's Thrifty Mom! Our awesome prize is sponsored by Freebieshark. I am excited to bring you this fast and furious path to getting some relief for back to school season! Yep, the lucky winner will get some help with their back to school shopping. All you have to do is enter using the Rafflecopter below and check your email tomorrow to see if you won. GOOD LUCK! Terms and Conditions: Giveaway starts on July 24th. The prize is a $50 Old Navy Gift Card. Must be 18+ years old. Winner must reside in the US. No purchase necessary. All entries must be done via Rafflecopter. Giveaway is in no way sponsored, endorsed or affiliated with Facebook, Twitter and/or Pinterest. By entering giveaway, you accept and agree to all terms. Winner will have 24 hours to respond to winning email... If not, a new winner will be drawn. My favorite part of back to school shopping is seeing how excited my kids get over all their new stuff! My favorite part is seeing how my two granddaughters (who are sisters ages 6 & 8) have completely different tastes in clothes. We just went shopping yesterday and one went for everything that had peace symbols and the other for rock 'n roll. I love finding all the great deals on school supplies! It's like a game. We also take advantage of these great prices to stock up on supplies for a missionary family we know. They live in Japan and homeschool, so they really can use school supplies! My favorite part of school shopping is letting each of my 3 kids pick out their own clothes. Its fun to see how their styles change year to year. My favoprite part of back to school shopping is how my girls look forward to getting new clothes. And the three of us usually go out for lunch during this "event" too. My favorite part of back to school shopping is watching the kids enjoy new stuff. I use to like clothes shopping with my daughter but now she has a uniform so it's not so fun anymore. Maybe buying their new backpacks. I love all the new supplies and picking out the colors with my son :). I enjoy all the back-to-school clothes sales and the kids acting like it is Christmas. I always liked getting new shoes! I love the time I spend school clothes and school supply shopping with my grandchildren. It definately keeps me young.